I've heard great things about eShakti, and was really excited when they reached out to to me to pick something out. eShakti is an online retailer full of super adorable retro-y designs that can be custom made based on your measurements. I have a really hard time finding clothing that fits me off the rack, especially dresses, so being able to have something custom made was amazing. And not only did I get to enter in my measurements, I also was given the option to customize the length, the neckline, and the sleeve style to my preferences. I chose to change the hemline of this to just above the knee, but could have also gone shorter or longer. With the addition of this little number I picked up back in June, I now have two little red dresses in my closet. Red is one of those colors that I used to shy away from, but now I'm really loving how bold it is. I can definitely see adding some more of it to my closet. 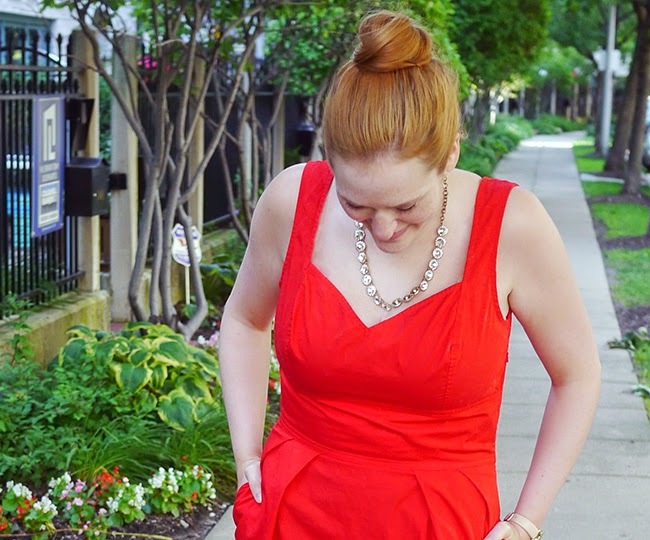 Linking up with Trend Spin Linkup, Style Sessions and Tuesday Pretties. I think red heads look gorgeous in red. 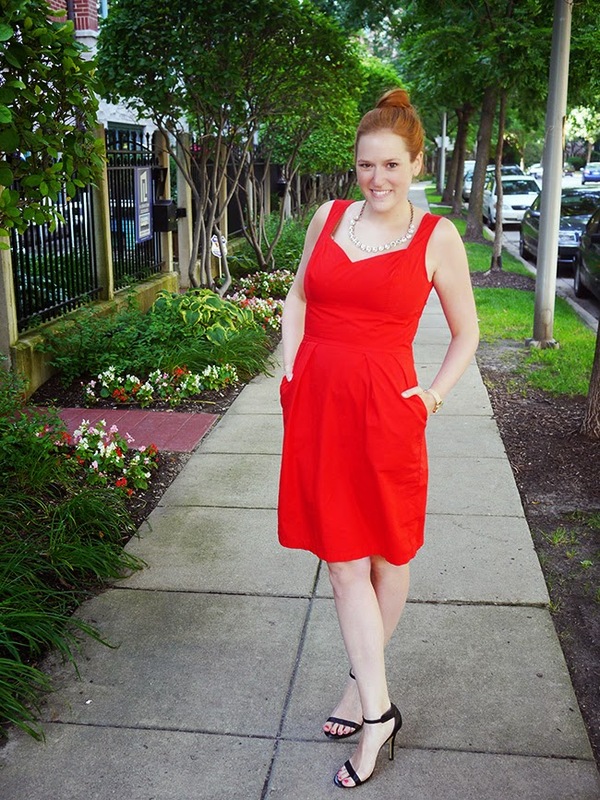 You look so gorgeous in red, and I love the way this dress fits you–so flattering and ladylike! 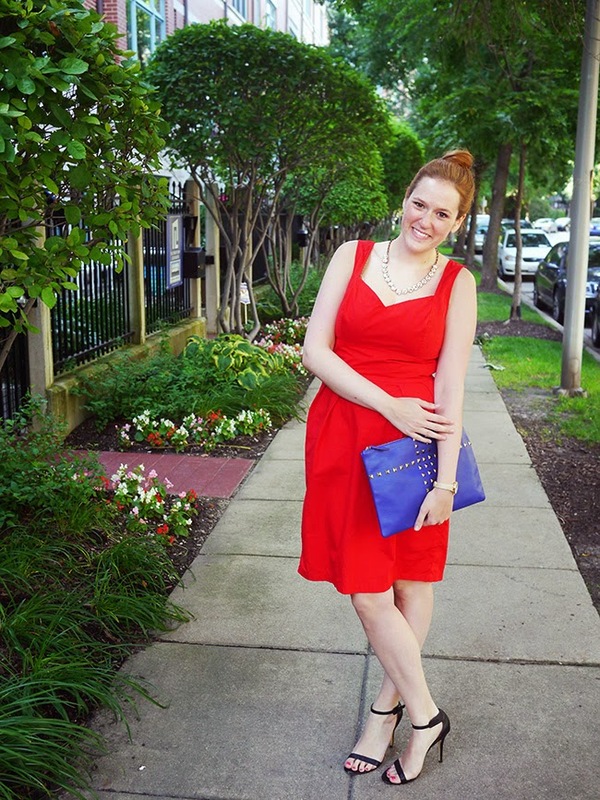 usually redheads shy away from red, but you look amazing! You look stunning in that color! Love eShakti, their dresses fit me perfectly! You look so beautiful! I love that dress on you! It's great that they can custom make them! Thanks Maddy! Sometimes I think certain colors clash, but red definitely works. Oh sad! Usually if I have a problem with delivery companies are quick to help me out. 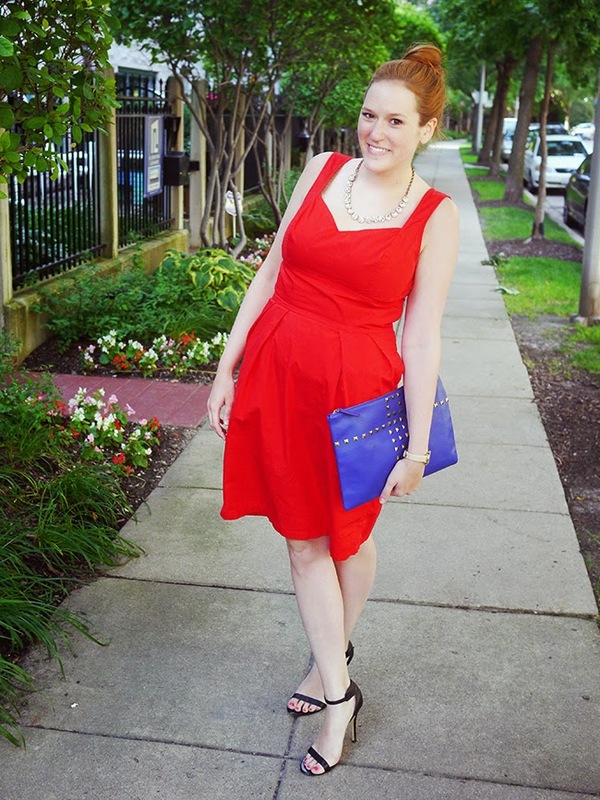 I found my other little red dress on Piperlime. What a classy red dress, and I love your necklace with it! You look beautiful in that color ! Red is killer on you! Thanks Brynn! Yes I really loved browsing through all of their stuff! I hope the wedding was fun, I'm sure you looked great!